Datong Dish represents the typical food from northern Shanxi province. The dishes are a bit salty, and oily with lots of attention to color. 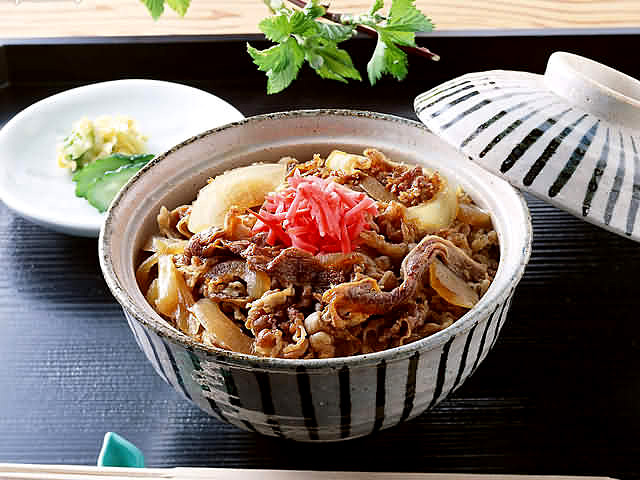 The locals tend to favor products made from wheat and other cold-resistant cereal strains, making noodles a common favorite on most tables. If noodles are not really your thing, then there are also a variety of specialties that makes dining interesting. Everybody could find something here to satisfy the munchies. "Yangza" is the entrails of a sheep. It was said the custom of having Yangza Ge was from Yuan dynasty. It has different cooking methods in different parts of Shanxi Province. The eating means in Datong is straightforward: put the entrails, seasonings and ingredients all together and braised in a big boiler. 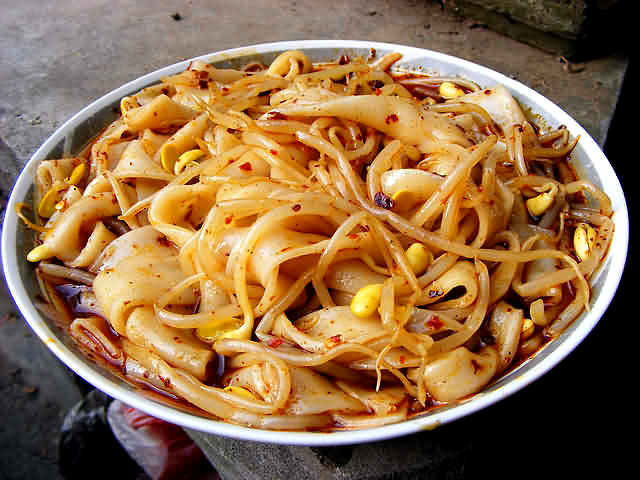 Some vermicelli made of Chinese yam flour is usually added into the soup and this is a popular breakfast in Datong. Datong abounds in millet and sesame oil. Zha Yougao is very popular there. It is a top grade dim sum for entertaining guests in Spring Festival. The fried millet pies boast golden yellow color, thin surface and varied fillings. No matter what sorts of Yougao you taste, they are all delicious: crisp interior and savory exterior. Liangfen is made of potato starch or Chinese yam starch. It is a bit softer than vermicelli and chewier than common noodles. The liangfen can be blocks as well as strips according to people's liking. Adding in salt, bean sauce, vinegar, chilli oil and some shredded cucumber and caraway, the liangfen tastes much cool and refreshing.